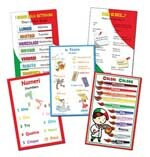 This page contains a directory of Italian playgroups for children aged 0 to 13 in the United States of America. Suggest your favorite playgroup using the Reply box at the bottom of the page. If you live in Sydney, Australia, you can take your child to a bilingual storytime in Italian and English. Can you please remove Playgroups in Kingsley as we do not have any Italian playgroups at our centre. Thanks. Thank you for notifying us!